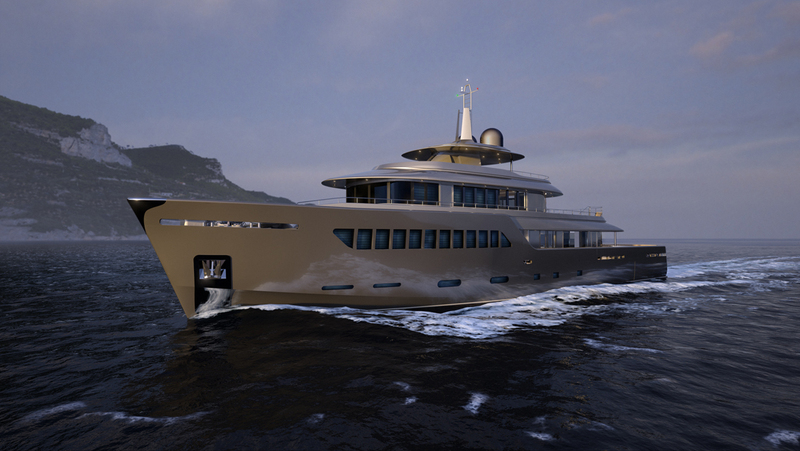 The aim of this project is to revise in a modern key the concepts behind an explorer vessel keeping in mind all the functional aspects. 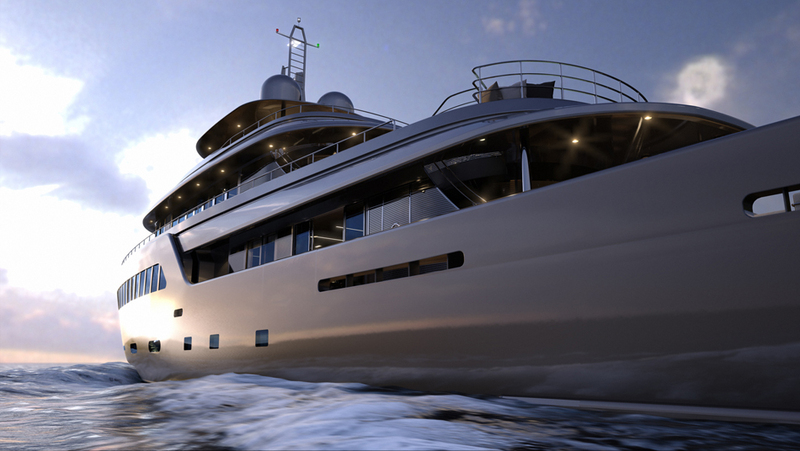 The dynamics of the volumes, inspired by work boats, have been smoothed down using soft surfaces and stainless steel elements. 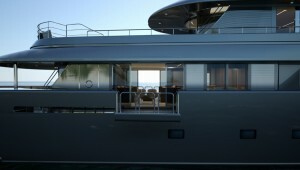 The large stern is characterized by a wide transom door that, when open, discovers a large stair connecting the sea lever, the wide aft opened area, the wide use of large sliding doors and folding balconies both on sides and on the aft allows a continuous connection between interior and exterior areas. The yacht is built over four decks and is capable of accommodating ten guests over 4 guests cabins on the lower deck and a wide owner suite on the main deck. 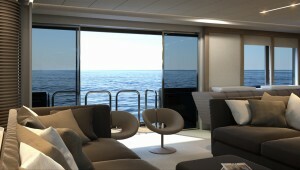 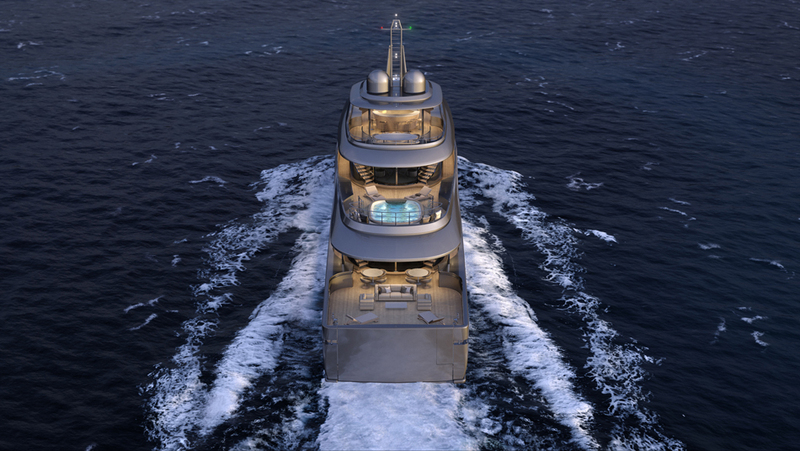 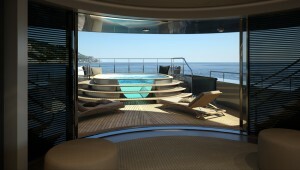 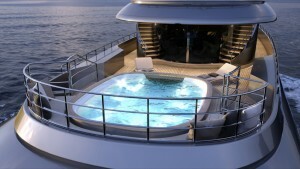 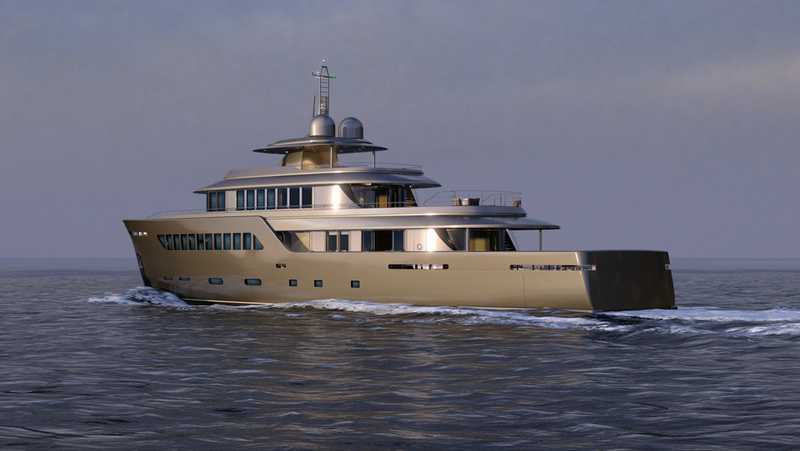 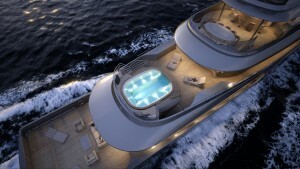 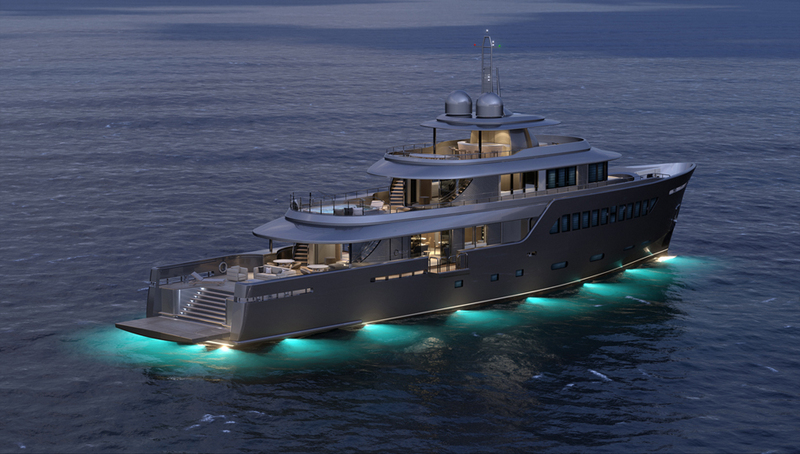 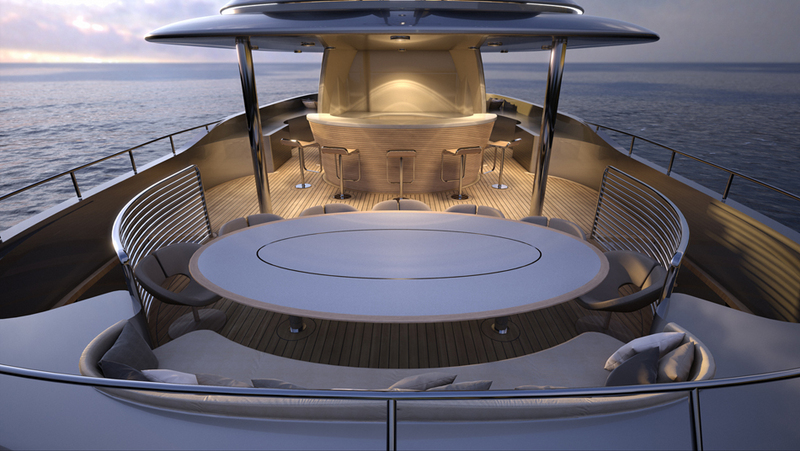 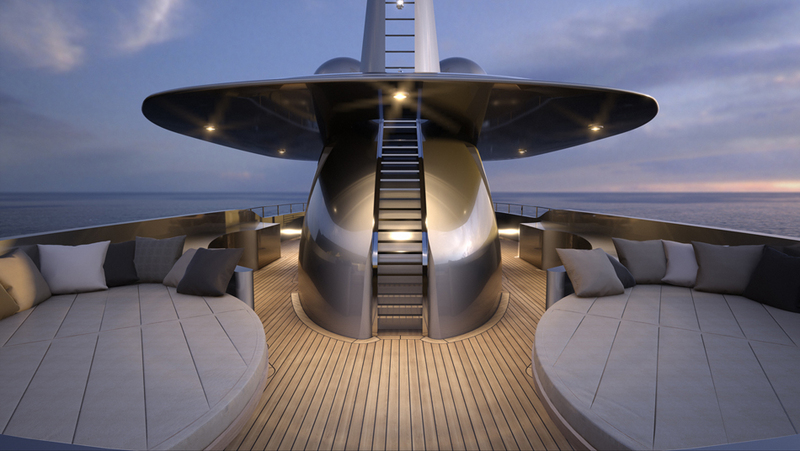 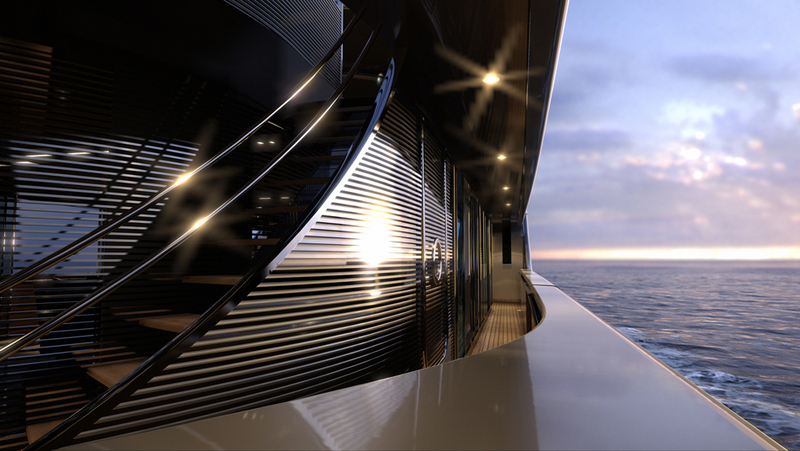 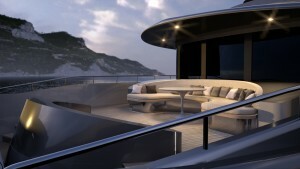 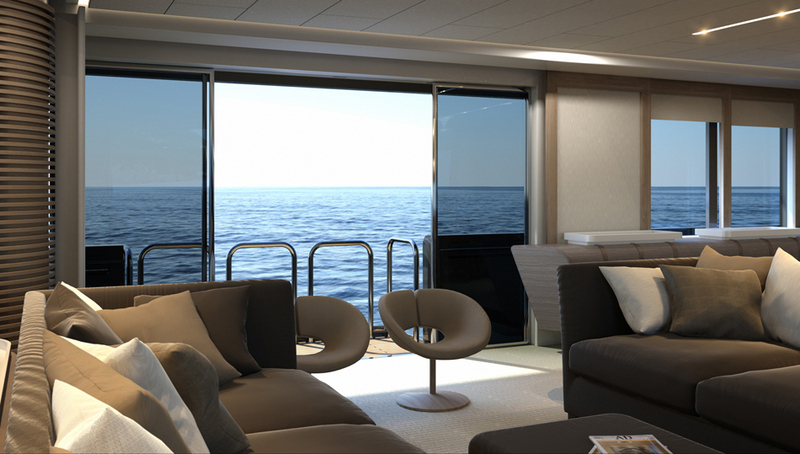 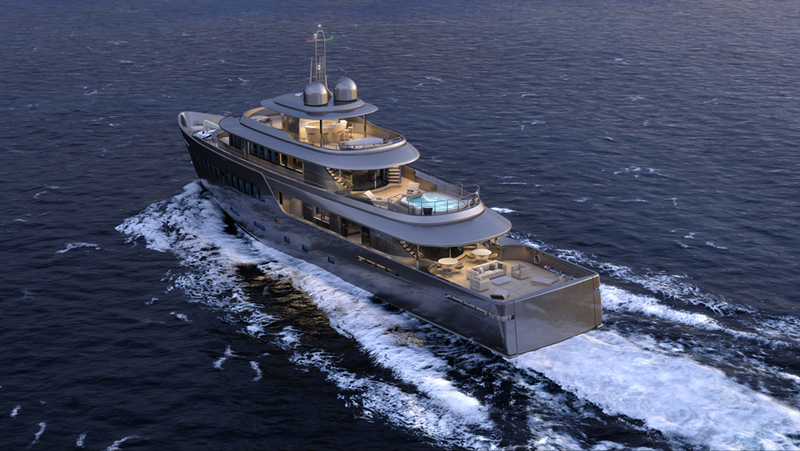 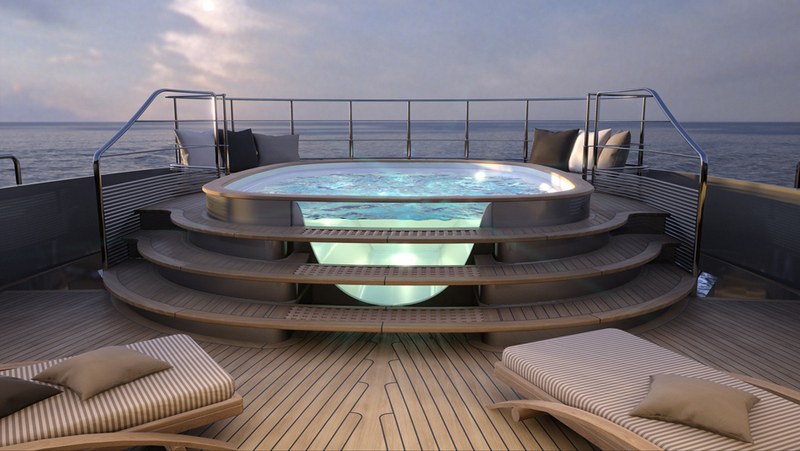 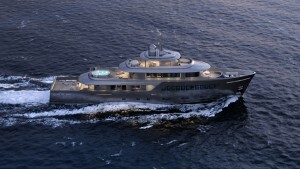 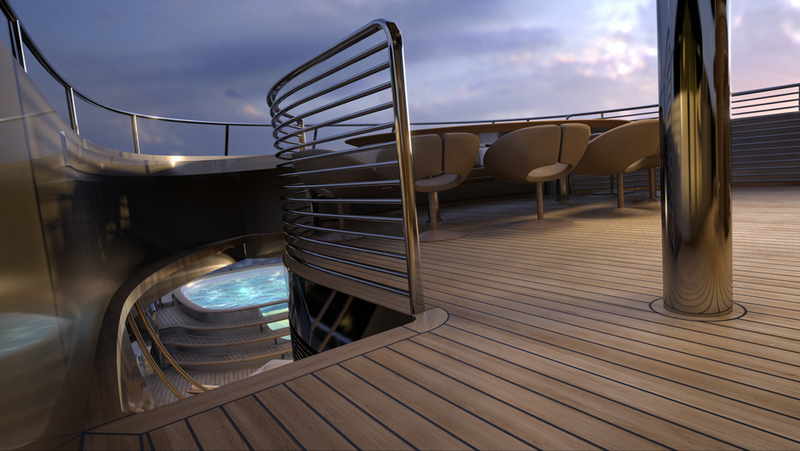 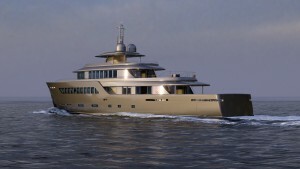 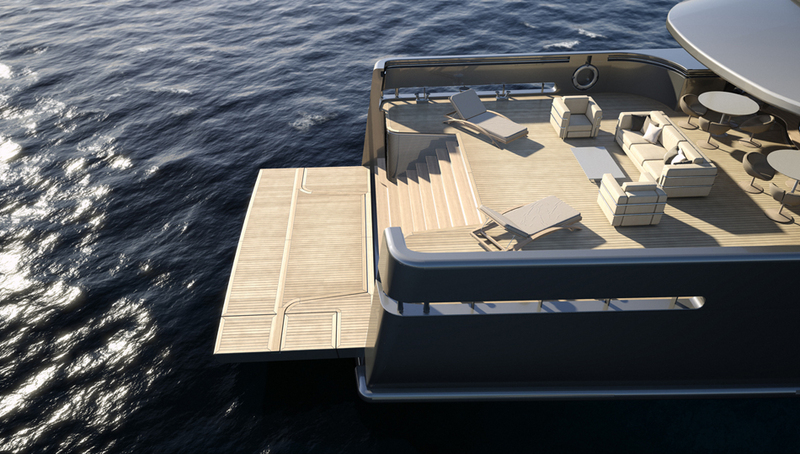 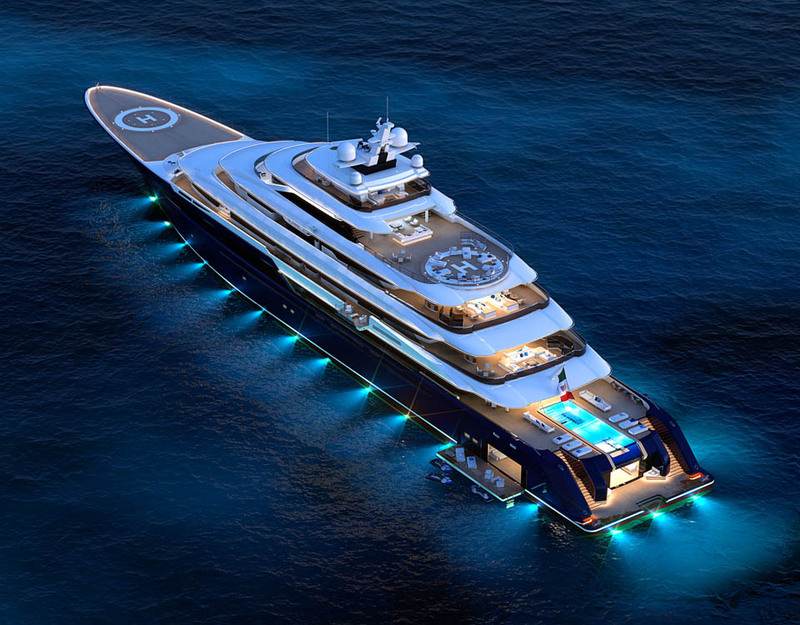 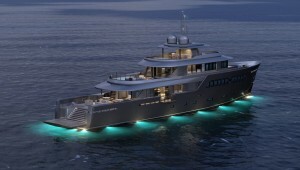 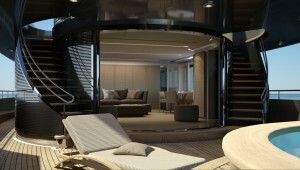 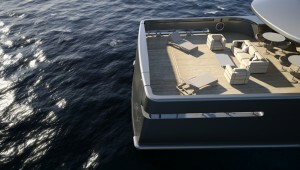 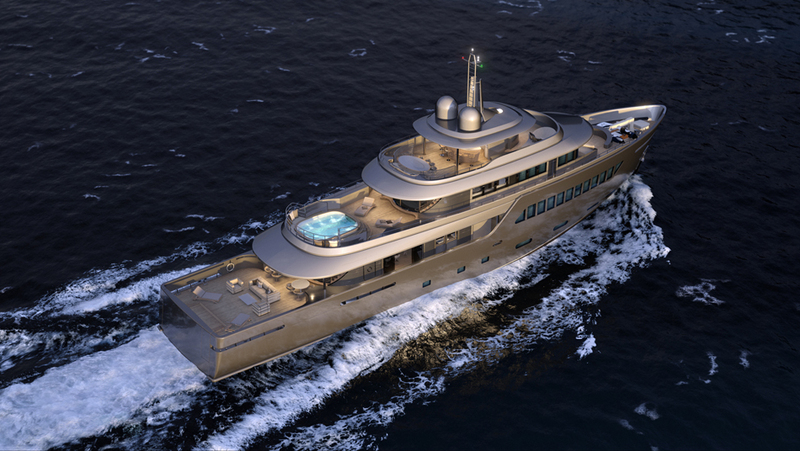 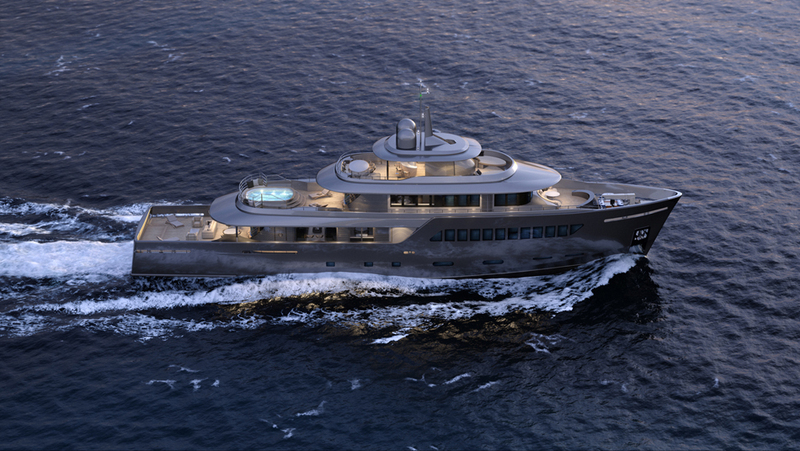 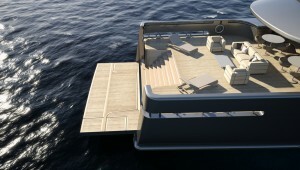 The yacht is designed for navigating in all seas and types of weather. She can reach a maximum speed of 15 knots and carry 80,000 l of fuel, offering a range of 6,000 miles.